Thursday Thinking: Your kingdom come! Nothing captures my attention as much as Jesus' talk about the kingdom of God. What does He mean? What is the kingdom of God? So many questions swirl in my head. 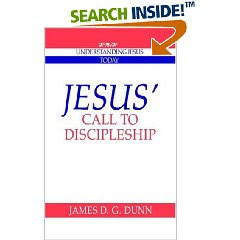 James D. G. Dunn, a New Testament scholar, wrote a great little book about Jesus and the kingdom of God. At the end of each chapter he asks questions and I have tried to answer them with what little I know. In what sense can we say that “the Kingdom of God” was present or active in Jesus’ ministry? What are Christians praying for when they say the Lord’s Prayer: ‘Thy Kingdom come’? Answer: The Kingdom was present in Jesus’ ministry in the ways He interacted with people. He met the needs of the people through His intimate interaction with them. He touched and blessed the people, even the poor and oppressed. He brought the Kingdom of God to them ina physical way. He also taught about the kingdom in parables that made what He had said easy to remember. He was always seeking to transform the heart through the mind. Jesus also exemplified what life in the Kingdom of God looks like. He displayed to us the type of life we could have in God’s Kingdom. He showed us what it means to be ruled by God, to submit to Him, love others, and live in constant fellowship with our Creator. We also catch glimpses of another world, different from ours, in how Jesus walked on water, became transformed on the mountain, and resurrected from the dead. When we pray the Lord’s Prayer we are asking for God’s rule to come in our own lives. We want God to rule our heart, mind, soul, and strength. We also want to bring His Kingdom to others we come into contact with. We want them to see what life in the Kingdom of God looks like. We want them to want to join us in this Kingdom by the quality of life we live among them. Any thoughts? It's always good to talk about this stuff! The Kingdom of God should be the main emphasis not only in preaching but in witnessing. It is cruel to preach a gospel that tells us our sins are forgiven but leaves us powerless over sin until we reach heaven. The good news is good news not merely because of the forgiveness of sins, but that when we truly first believe, the Holy Spirit enters our hearts (Eph. 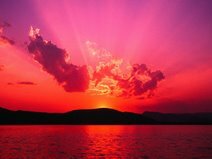 1:13)giving us the power over sin. This is the Kingdom of God living and expanding in us. This news gives confort to those who want to be Christians but who fear they would never live up to Christ's standards. Of course they can never live up to Christ's standard in their own strength, yet when they repent and believe, Christ lives in their hearts through the presence of the Holy Spirit, giving the power they need to live a life pleasing to the Lord. Even though I am thoroughly Wesleyan in theology, I think much of the Wesleyan terminolgy needs to be replaced with the language associated with the Kingdom of God. The parables of the mustard seed and the leaven leavening the whole bread are pictures of the Kingdom expanding within us until the whole of our being is under the rule and reign of Jesus Christ. Then as those who saw the Father in the Son, today Jesus will be seen through us. On another subject concerning the Kingdom of God, some emphasize social action as the Kingdom's main concern. This aspect of Gospel teaching has been ignored for more than 100 years in the Church and so it is good that Christian leaders try to recapture this emphasis. Yet the Kingdom is more than this. It also concerns itself with making its subjects more Christ-like and will culminate in the coming of Christ as King at the Second Coming.